It’s Transformation Tuesday and we are ready to show you some pictures of how the 1840s Plaza has been transformed and customized for events! 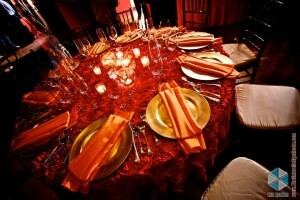 We are not solely limited to weddings, we welcome all events! Because each and every floor we have is very different and unique, there are numerous options of changing it to meet your preferred theme! 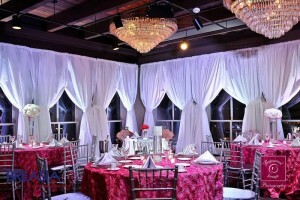 For example, the fourth floor ballroom can be elegant or it can be exotic and fun. 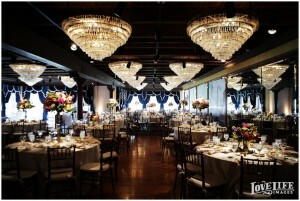 The second floor City Lites can be the perfect place for a peaceful ceremony or a stunning setting for cocktails and dancing. 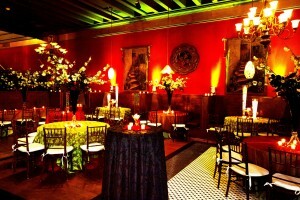 Even the rich Latin theme of the first floor Cabaret can be used for cocktails or transformed for a small wedding ceremony. 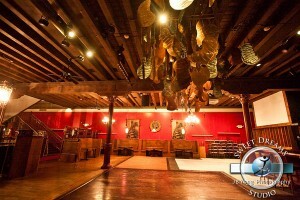 Above is the first floor Cabaret that has more of a Latin inspired theme that is warm and inviting. You can see how the space can be transformed into something much more elegant or fun and out of the ordinary in the after pictures. One picture shows colors being used that are similar to the red-based theme, or complimentary colors at the opposite end of the spectrum. The second floor City Lites is Baltimore in a room with the murals and White Tower Diner. It can be easily used for an elegant ceremony or for a fun cocktail hour. This room is simple and beautiful on its own, but can also be spiced up for a completely different look. 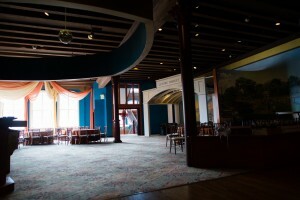 Last but not least, the fourth floor Ballroom offers a more traditional look in the before picture and a modern yet sophisticated look in the after pictures. 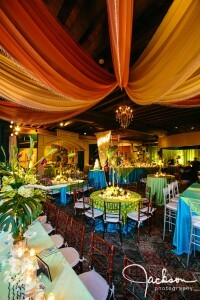 Lighting and color usage really help to make the room look even larger and brighten up the space! 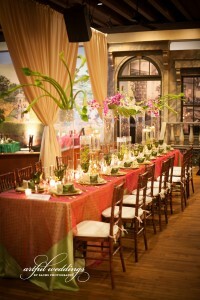 Start planning your transformation for your event! 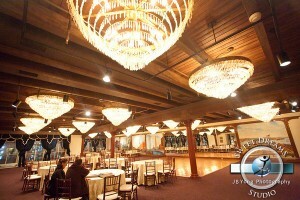 Schedule an appointment to tour the venue in person by calling 410-385-1840.